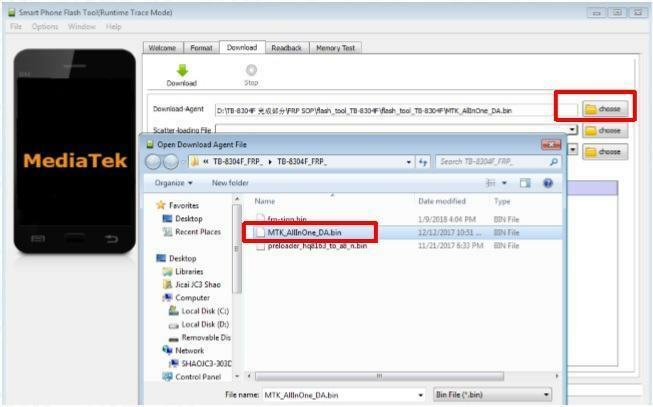 Select the MTK_AllInOne_DA.bin file which in FRP software folder. 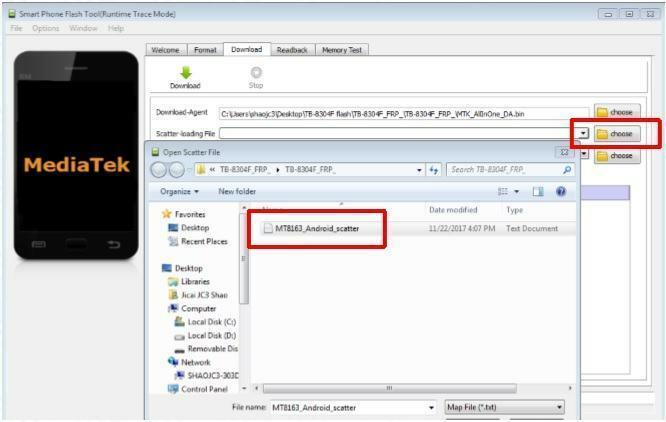 Select the scatter file (MT8163_Android_scatter.txt) which in FRP software folder. 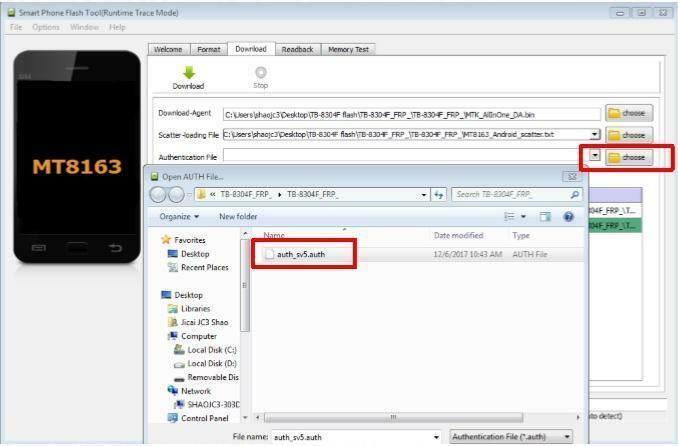 Select the Authentication file (auth_sv5.auth) which in FRP folder. Before flashing, please make sure that the device is power off. – Only check to the frp file, don’t check preloader file. – Keep pressing the Volume Up and then connect the device and PC by USB cable, loosen the Volume Up until the progress bar appears.